Cloud Computing has completely changed the competitive scenario of the businesses. 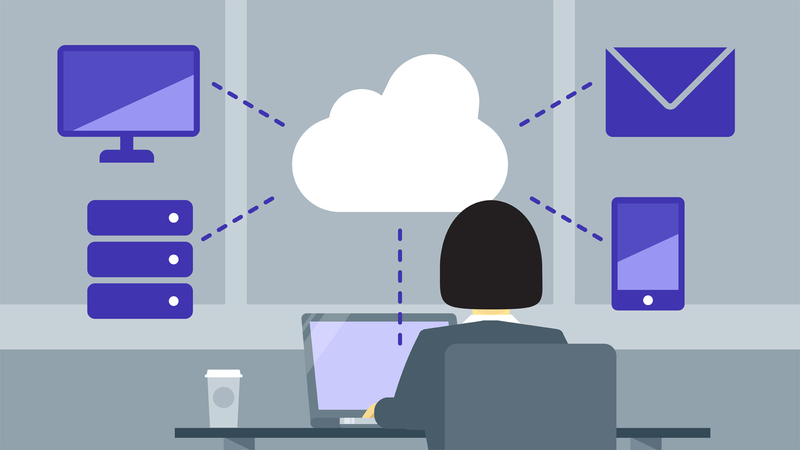 Earlier, people used to run applications and programs on a physical server or computer in their office, but now Cloud Computing eases out the entire proceedings by allowing them to access the similar applications through the internet. At the moment, Cloud is one of the fastest growing technology. According to a report, more than 90% businesses around the globe are using one or more Cloud services. You can easily understand the worth of Cloud with the facts that the Facebook status you update is a part of Cloud Computing. Whenever you check your bank balance, you are on Cloud. The emails you are sending is the result of Cloud. Now the question that hits millions of mind is why these businesses are moving towards Cloud Computing? We have picked up 7 reasons or benefits, which will tell you, why organizations need to learn cloud computing and decide to go with it. According to me, this is among one of the greatest reasons for choosing Cloud over other methods. The expenditure costs in Cloud is much more economical and affordable as compared to the traditional ways. With Cloud, you can save marginal capital costs as there is no need of in-house server storage and programming requirements. Due to lack of on-premises infrastructural requirements, you do not need to bear any operational costs on power, air conditioning, and other administration costs. You only have to pay what is required or used, and that is too according to your needs. It signifies that small scale businesses can also use this technology and compete with large business houses. In traditional technology, scaling of business used to be an expensive affair. You can not predict or forecast the growth of your companies. However, Cloud Computing provides you the opportunity to scale out the workloads for any purpose. Whenever the demand arises, you can scale up as well as scale down your resources as your business needs alter. This allows you to enjoy unlimited resource based demand usage and optimizing the environments for the efficiency and performance. People usually concern about the security of Cloud as it is operated via the internet, but the fact is, if you are working with a credible service provider, you need not think about the security issues as the service provider always monitors the security of your system with the help of IT experts, who are specialized in the security of your data. Because your data is highly secured in the cloud, therefore, you can access it from anywhere and any condition, even if your system is damaged. Cloud Computing works through the internet due to which most of its services including apps comes with working flexibility. It is not necessary for you to work from a particular space. You can work from any part of the world, even through a smartphone. It doesn’t affect the productivity. Everyone, who is operating business always have plan B by their side in case of any disaster happens. But with Cloud Computing, you need to think about disaster management, as it automatically resolves the business issues with immediate effect. This is itself a robust benefit for small-scale businesses, who are not able to invest more money in disaster recoveries and also a lack of expertise. Most of the Cloud Service providers are giving extremely reliable services with a number of them offering 100 % uptime with zero downtime. As long as the internet connection is on, you can work continuously without any hurdle. Cloud Computing allows you to make collaborations for your projects from any place. It is possible to view and access a particular project on Cloud from anywhere if you are not in the office. Not only access, but you can even edit and share the documents anytime. You can make required updates in real time also. This increase the collaborations and workflow become smooth and reliable. Apart from revenue generation for your business, Cloud Computing also considers as beneficial for the environment. Whenever workload on Cloud heats up, it easily scales up and down as per the needs, so that it doesn’t leave any carbon footprints which are harmful to the environment. You only utilize energy according to your requirements. Hopefully, this post would wash out all your doubts about the importance of Cloud Computing and why you need to move onto Cloud with immediate effect. The range of benefits Cloud gives you at the moment, no one could ever match it up, and it is the best option to implement in your business solutions for the expected growth. Still, if you have any further doubts about Cloud, please contact us. We have a team of experts, who will positively guide you about this topic and clear out those queries.